We have rebranded! Previously, you may have known us as Power Music Claremont. New name, same reliability and great service. To celebrate, here's a 10% discount on any item booked via this page! Simply fill out the form and we'll send you a link with your discount code. Previously known as Power Music Claremont, we are a well known and highly regarded source for Audio Visual Hire. A prominent fixture in Claremont for the past 3 decades, we provide DJ Equipment Hire, Projector Hire, Speaker Hire, Lighting Hire and Staging solutions. However, we don't just rent AV equipment. What we really do is work closely with our clients to provide a complete solution; producing high quality projects on time, every time and within budget. Are you organising Community Event? Maybe you are looking for some Corporate AV Hire? Hunting down a PA System for your band? Or, are you throwing a party? 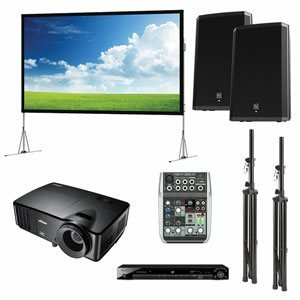 Regardless of the type of event, our audio visual equipment rental service offers peace of mind and competitive pricing. The world of Sound, Vision & Lighting can seem a little complicated. Keeping up to date with the latest technology, knowing what sized LED Screens to rent or what's the best lighting equipment; can be challenging - even for the pro’s! Our motto is 'there are no stupid questions’. Our highly knowledgable technicians are always happy to provide sound advice and will point you in the most cost effective direction. Offering extensive experience and a relaxed approach, you’ll soon find out why we are known as Perth’s easiest and friendliest AV Hire Company! Data Projectors, both short and long throw; with brands that include Panasonic, Hitachi and Dell. Projector Screens for Corporate Presentations, home video nights & Outdoor Cinema hire solutions. Small & Portable PA Systems, perfect for wedding ceremonies or bundled together with a microphone for a modern take on juke box hire. High quality sound system hire options for medium and large scale events. Medium, large and extra large LCD/LED TV's, perfect for presentations and sporting events. 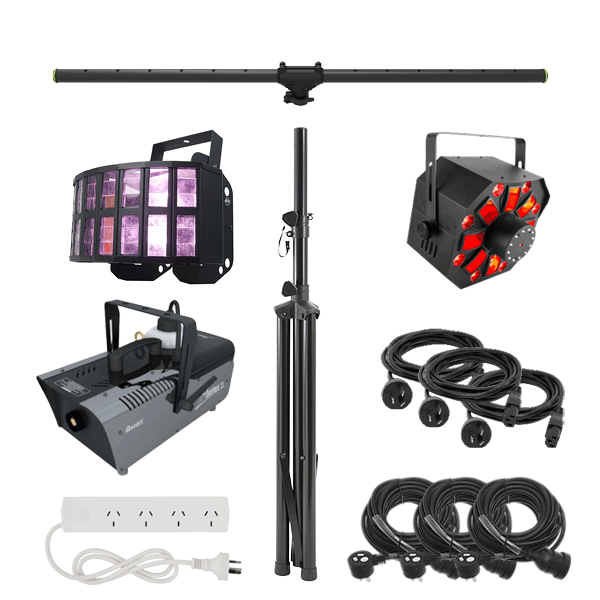 When it comes to event lighting hire, Power Audiovisual has a diverse selection to choose from. Whether you want to create a romantic mood with some Festoon Lighting, a groovy disco vibe with some party lights or a fully customised stage lighting and FX extravaganza; you can consider us to be a 'one stop shop'. Reasonable pricing, old fashioned customer service, product knowledge and years of experience combine to make us the best place for all your Perth lighting hire needs.. Plus, as with all our products and services, we can deliver, operate or show you how! Static, dynamic and programmable lighting units for every conceivable function. Additionally, we offer a full design, install and production service if required. All our lights can be matched with our comprehensive range of truss hire options to create complete stage lighting packages. Every item that leaves our warehouse is tagged according to national standards and will be in good working order. If an unexpected breakdown occurs, we have a 24hr emergency hotline at your disposal to source you a replacement asap. The popularity of using DJs to entertain at events has given rise to a massive range of DJ Equipment Hire options. With such a large number of options and variances in venue, DJ style and occasion it makes sense to consult the DJ Gear Hire professionals. Not only do we provide dry hire, but also we have extensive experience in nightclub and pub installs. Many of Perth's top venues use our service and we'll be glad to work with your's. Recognised by many Perth DJs and popular Perth venues as 'the go to' for great quality equipment, pricing and service. Most if not all our in house technicians are also professional DJs themselves. 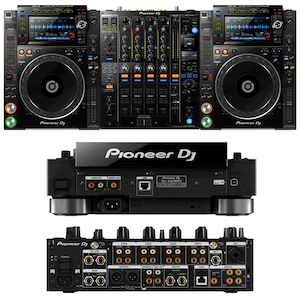 This key difference benefits you because we can suggest the best DJ Equipment for hire, to suit your needs. All our DJ gear is well maintained, fully tested and tagged to meet Australian safety standards. We'll happily deliver, set up and pack down the equipment if needed. From standard set ups to custom staging, we have a track record of reliability and safety, gained over many years and a large variety of events. Our vast inventory will ensure ease and speed in planning your indoor or outdoor event. Small to large events, we'll have you covered. As with all our equipment, you can either dry hire or we can deliver, setup and pack down for a fair fee - on time and on budget. 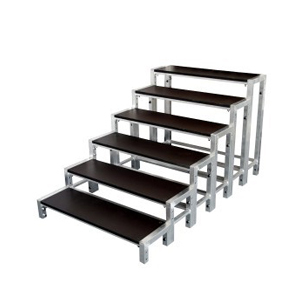 All staging systems are manufactured to comply with Australian standards and are maintained in accordance with said standards..
Offering a flexible range of staging hire that can be applied on uneven terrain; for small, medium or large scale events. Not just stage, we also provide a vast array of risers, box/tri trussing, clamps, outriggers, drapes, stage accessories, stands and more cables than our apprentice knows what to do with!